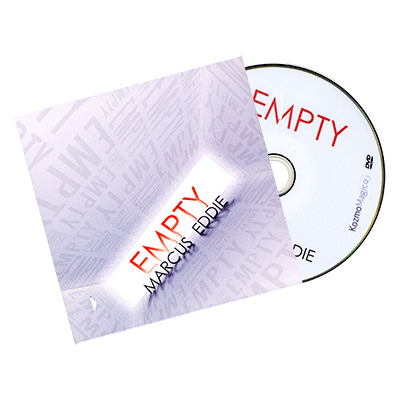 Marcus Eddie's ingenious EMPTY is more than a device for producing a full deck of cards from an empty card box. EMPTY allows the performer to produce any object that will fit inside a card box. You can also use EMPTY to transform one item into another. Comes complete with gimmicked card box and instructional DVD.